I was moved both by the story and by the delightful writing style of a talented author. 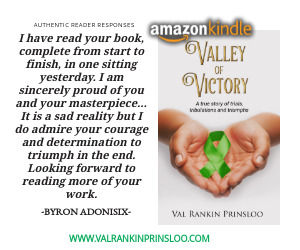 The author Val Rankin Prinsloo in writing Valley of Victory gave this reader so much pleasure. Pleasure may seem an inappropriate word to use as her story is at times harrowing. She tells of an upbringing as a child in what seemed to be in affluent surroundings in apartheid South Africa. 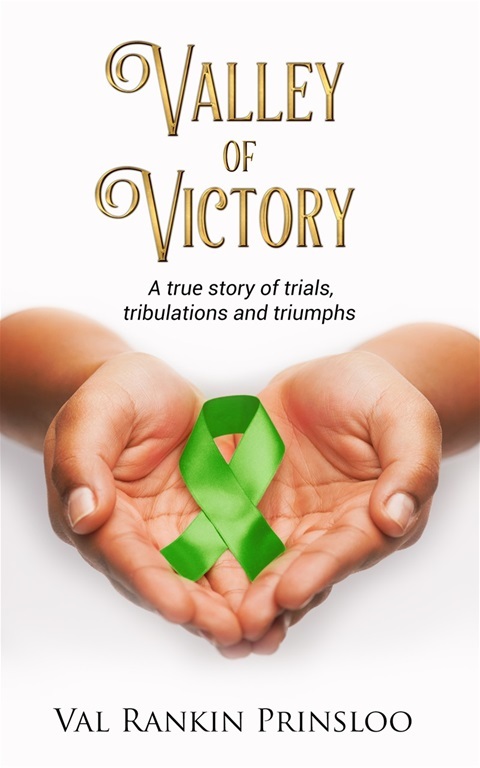 She was brought up in a dysfunctional family and by a mother who we learn had troubles of her own to deal with. No child should ever have to experience some of the things that happened to the author when she was a young girl."